The Cast of ‘Timeless’. Image Courtesy of NBC. The writers behind Sony Pictures Television’s Timeless made a deal with the #ClockBlockers of Twitter on Jan. 31 — rack up 10,000 retweets and be rewarded with a deleted scene from the finale. 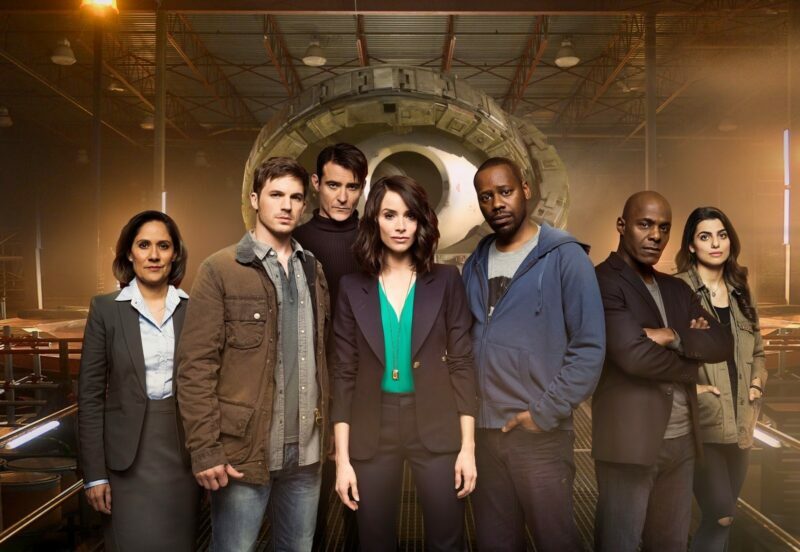 The Timeless Writer’s Room is known for being generous with providing additional content to the fandom, as they shared a handful of deleted scenes and script pages during the #RenewTimeless campaign on Twitter in 2018. In honor of the cold weather in much of the country and rain in Los Angeles, how about this… Let’s get 10,000 retweets and we’ll show you a deleted scene from the @TimelessSPTV (season? series?) finale movie. Let’s remind TPTB how #ClockBlockers can unite to support the show! On Feb. 2, the goal was met, and the Writer’s Room held up their end of the bargain. Check out the deleted scene below. The contents of the deleted scene contain two separate yet important bits of information. The first is that Garcia Flynn was given a star on the CIA memorial wall, in order to honor him as a time traveling hero. During that revelation, we are given a brief look at how Lucy is handling Flynn’s death once the team has returned from their mission. Next, we also learn that, even in this altered timeline, Rittenhouse still found a way to remove both Carol Preston and Nicholas Keynes (Lucy’s mother and great-grandfather, respectively) from the equation. The Writer’s Room referred to this scene as the first of their deleted scenes from the finale, so #ClockBlockers can potentially look forward to more content reveals in the near future!